Friday, March 3: West side courtyard entrances (CMET, staff keypad, west door by Daily Grind) will remain closed to pedestrian traffic until all necessary work is completed. 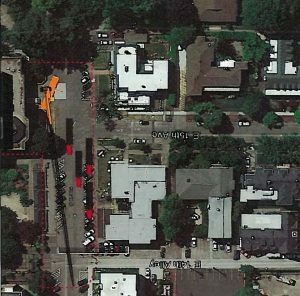 Exterior: Kincaid Street will be vacated by the City of Eugene from just north of 14th to the cul-de-sac south of the Knight Library loading dock. This is necessary to accommodate heavy truck traffic and crane staging. See STREET CLOSURE MAP. Exterior: Kincaid Street will be closedfor crane staging. Kincaid Street parking and bike racks will be closed. See STREET CLOSURE MAP. Please comply with all warning signs, barriers, and instructions. Exterior: Kincaid Street and bike racks remain closed. See STREET CLOSURE MAP. Courtyard entrances (CMET, staff keypad, west door by Daily Grind) closed to all pedestrian traffic. Please comply with all warning signs and/or rerouting of traffic​ inside and outside of the building. CMET Checkout Counter (H30): closed. Checkout services will be maintained from a temporary station in Hallway 30, east of the entrance doors. Other ground floor services and classrooms will remain open and may be accessed using stairs and elevator from the main floor; see interior maps. 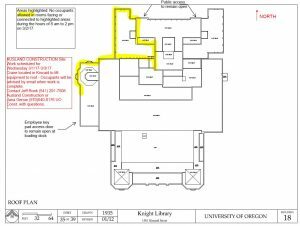 Other main floor services will remain open and may be accessed using stairs and elevator from the main floor; see interior maps. 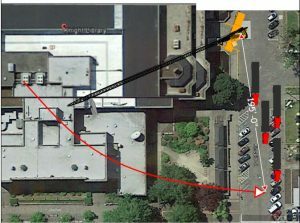 Exterior: Bike racks and pedestrian traffic on the NW side of the Library will remain closed; west side courtyard entrances (CMET, staff keypad, west door by Daily Grind) will remain closed to pedestrian traffic until all necessary work is completed. Interior: While west side entrances are closed, ground floor services and classrooms may be accessed using stairs and elevator from the main floor; see interior maps. Please comply with all warning signs and/or rerouting of traffic​ inside and outside of the building. Thank you for your understanding as we make progress on this critically important facilities upgrade.